Very well kept 3 bedroom ranch acreage located on Lake Ave near Le Mars. Nestled on nearly 8 acres, this one owner home was constructed in 1992. 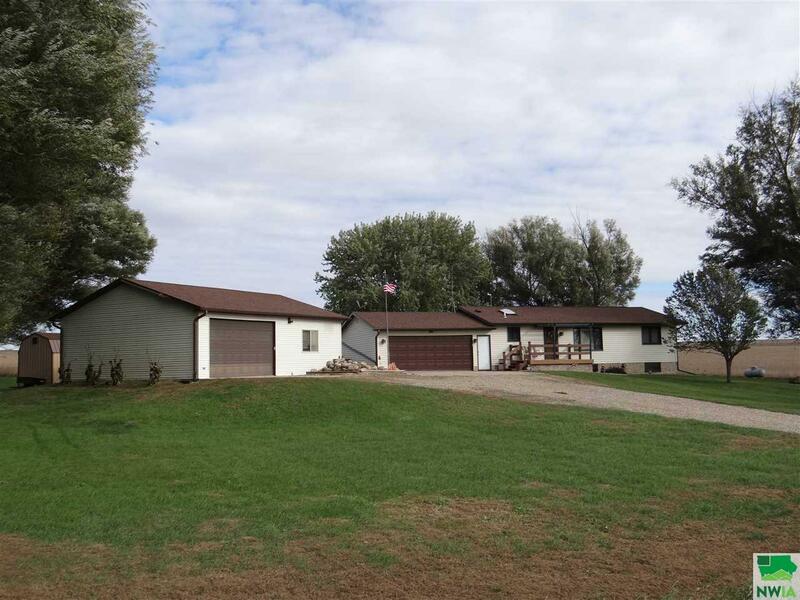 Large two car attached garage and separate 30 x 38 garage/outbuilding that is heated with 2 overhead doors. There are decks on both the front and the rear of the home offering beautiful views of the countryside. The sellers will certainly miss the 3 seasons room which was added to the east side of the home. A fourth bedroom could easily be added in the finished lower level with the addition of an egress window. All electric home except propane to the lower level fireplace. Storage shed, radon mitigation system installed, Lennox heat pump, Schiebout windows, main level laundry and so much more. Don&apos;t let this one get away! Subject to sellers purchase of suitable housing.